Yup, that last sentence basically means that Ailes gets to decide who’s in and who’s out, at least in that 9-10 spot. He probably can’t make a legitimate case for excluding Donald Trump, but he can certainly justify monkeying around with the tight cluster of candidates jockeying for the last couple of spots in the real debate. Last week, when Sherman wrote that piece, the two candidates duking it out for 10th place in national polling averages were former Fox host John Kasich and current Fox favorite Rick Perry, which would have left Ailes with quite a choice to make. Lucky for him, then, that the latest RCP average (which may or may not reflect how Ailes will make his #10 decision, because we don’t know how Ailes plans on making that decision) currently has Kasich in ninth place, with Chris Christie hanging on to that tenth slot just above Perry. Ailes might have an easier time manipulating things to put Perry in the debate when Christie is the one being forced out (though it must be said that while the two are separated by less than the margin of error in most national polls, Christie has generally been leading Perry), since Ailes and Christie (who used to be pretty close) reportedly fell out over Christie’s Hurricane Sandy photo-op with President Obama (though it’s possible they’ve mended fences since then). In an effort (one that, it should be noted, appears to be failing) to boost his poll numbers and ensure he gets into the big kids’ debate, Christie has been spending tens of thousands of dollars lately to advertise on, you guessed it, Fox News. Rick Perry’s superPAC, meanwhile, is spending a million dollars on ads that will run all over conservative media, but particularly on Fox News. And that illustrates the ancillary benefits that Fox is getting by holding what is really less a debate than it is the first-in-the-nation 2016 Republican primary. Candidates are buying ads on Fox themselves and are eager to get face time on the network, which presumably boosts Fox’s ratings and lets them sell ads at higher prices. If this scheme seems to you like Fox is going to these marginal candidates and saying “nice campaign you got here; it’d be a shame if something was to happen to it,” then you and I are definitely on the same wavelength here. 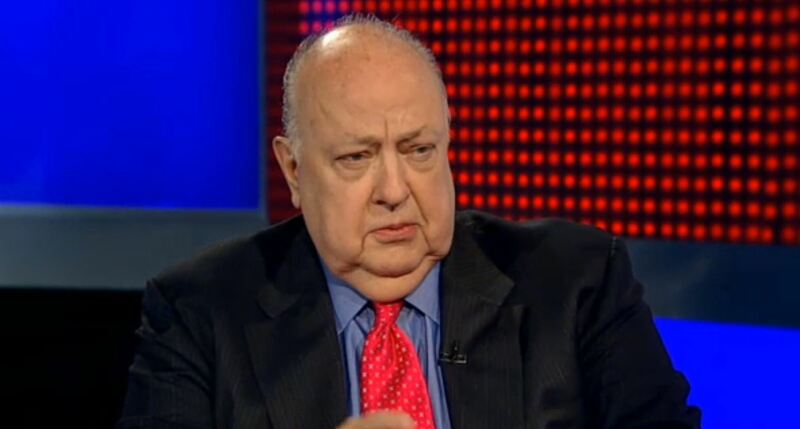 Roger Ailes has not only assumed unto himself the task of deciding who should be in and out of the GOP presidential field, but he’s also figured out how his TV network can profit from doing so that would make Tony Soprano nod understandingly. Welcome to American Democracy 2016.